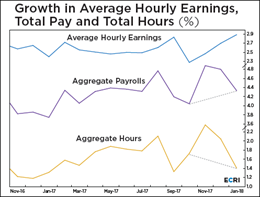 This morning’s release of the publicly available data from ECRI puts its Weekly Leading Index (WLI) at 148.2, up 0.2 from the previous week. Year-over-year the four-week moving average of the indicator is now at 2.91%, down from 3.12% last week. The WLI Growth indicator is now at 3.9, down from the previous week. 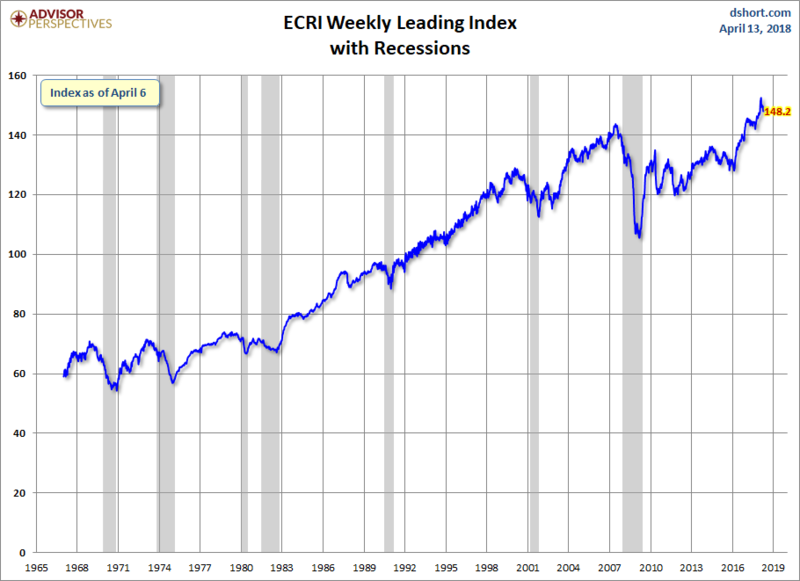 Below is a chart of ECRI’s smoothed year-over-year percent change since 2000 of their weekly leading index. The latest level is above where it was at the start of the last recession. 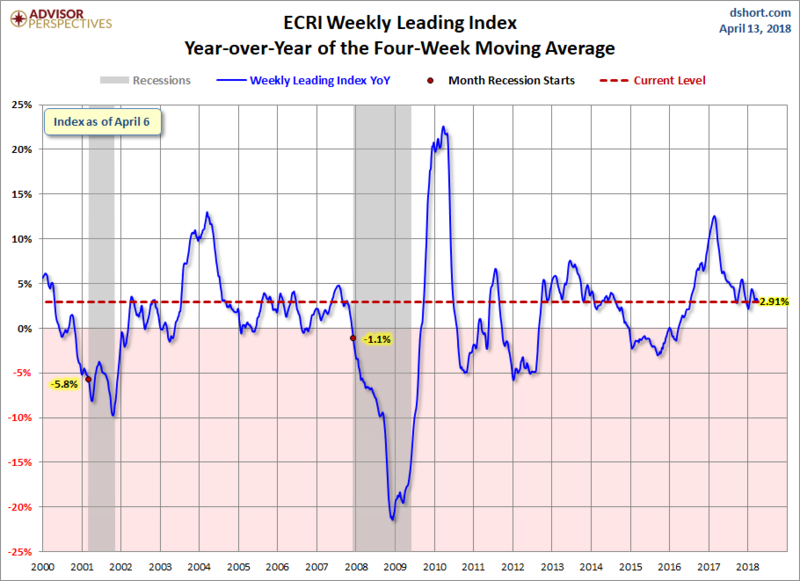 RecessionAlert has launched an alternative to ECRI’s WLIg, the Weekly Leading Economic Indicator (WLEI), which uses 50 different time series from various categories, including the Corporate Bond Composite, Treasury Bond Composite, Stock Market Composite, Labor Market Composite, and Credit Market Composite. 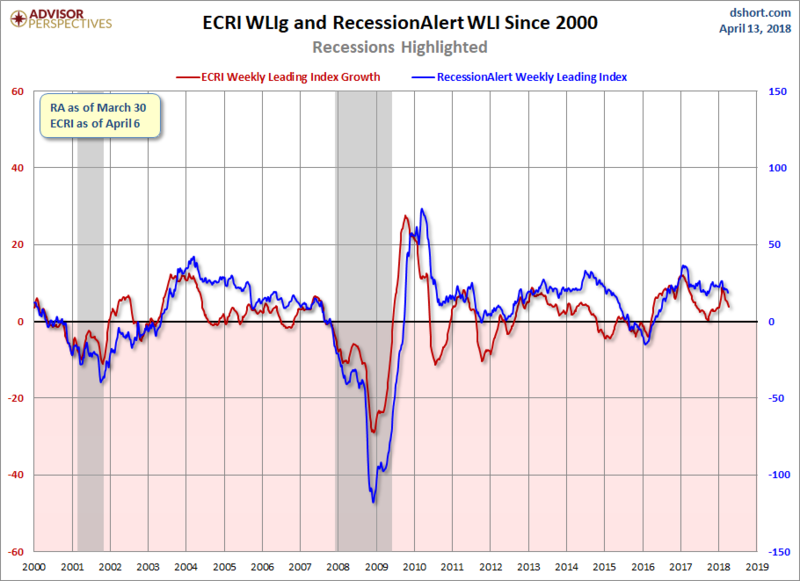 An interesting point to notice — back in 2011, ECRI made an erroneous recession call, while the WLEI did not trigger such a premature call. However, both indicators are now generally in agreement and moving in the same direction. Frequently the latest RecessionAlert data is not available at publish time and will be posted at a later point.